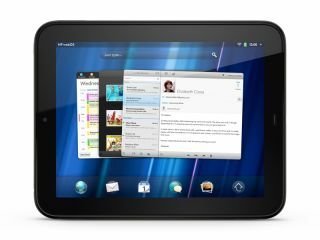 HP's WebOS will begin life as an open source operating system in September 2012 after the company committed to a release time frame. The operating system, developed and formerly owned by Palm, was given a stay of execution last month when HP decided to offer the software up to the open source community rather than ditch the division. The source code will be released in September, but for now developers can get cracking on building apps with today's launch of the Enyo 2.0 tool. Enyo 2.0 enables developers to create apps for WebOS, which will also work for Android, iOS and web browsers like Firefox and Google Chrome. "HP is bringing the innovation of the webOS platform to the open source community," said Bill Veghte, HP's executive vice president and chief strategy officer. "This is a decisive step toward meeting our goal of accelerating the platform's development and ensuring that its benefits will be delivered to the entire ecosystem of web applications." In today's announcement HP has laid out the timescale for the next nine months which will result in the launch of a full WebOS course code in September. The company originally bought WebOS from Palm in April 2010 for $1.2 billion but its grand plans to enter the smartphone and tablet business ended in failure when the Pre 3 and TouchPad floundered badly.